A unique, height adjustable, modular workstation system. 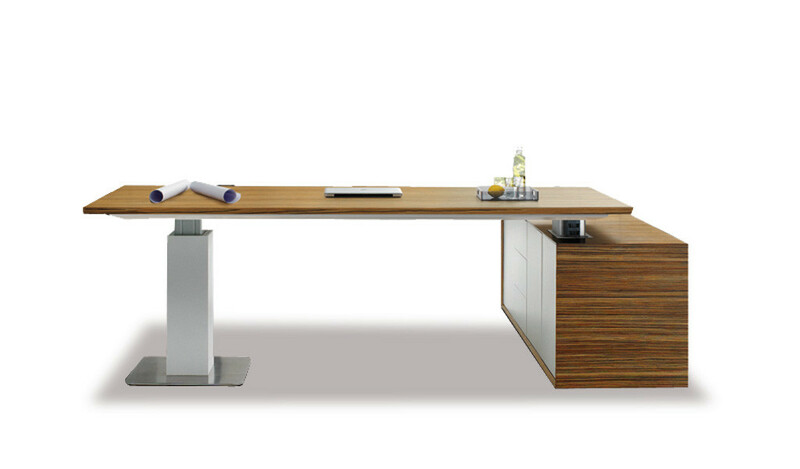 You can independently adjust the height of each desk at the touch of a button. Can be configured in different ways to suit various needs. Includes 25 mm table top, electrostatic powder coated metal base with two stage motor and coiled tube for wire management. A perfect choice for a dynamic office. 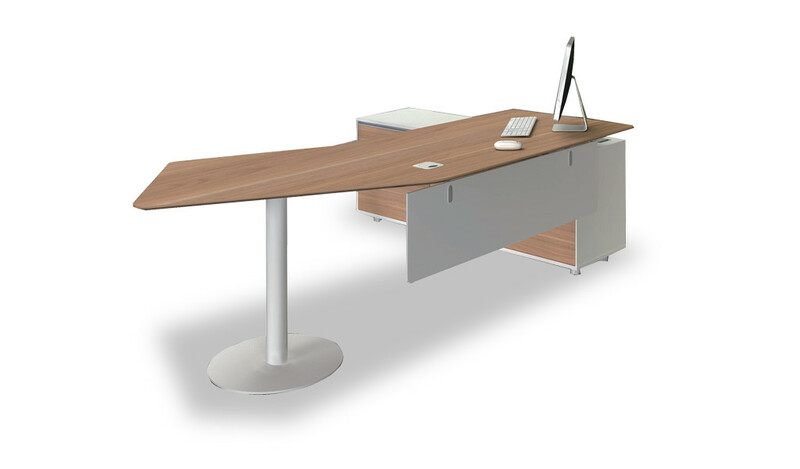 – The workstations look best in the original light Oak laminate. However, they can also be customized in various other finishes. 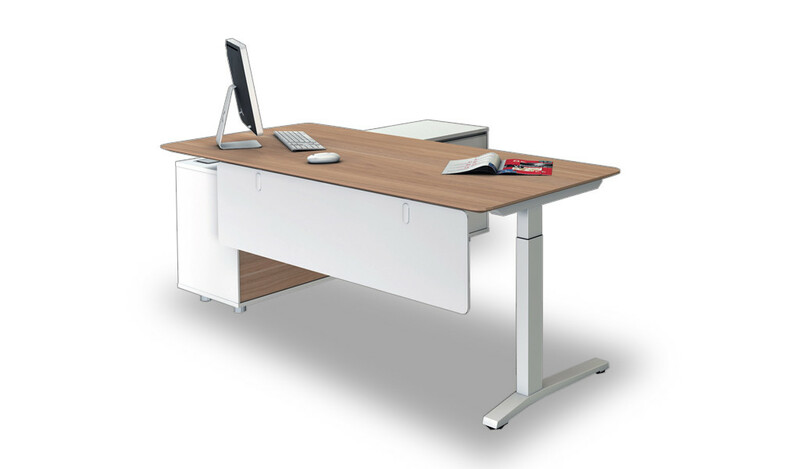 – This unique office workstation system comes with a motorized height adjustable mechanism. 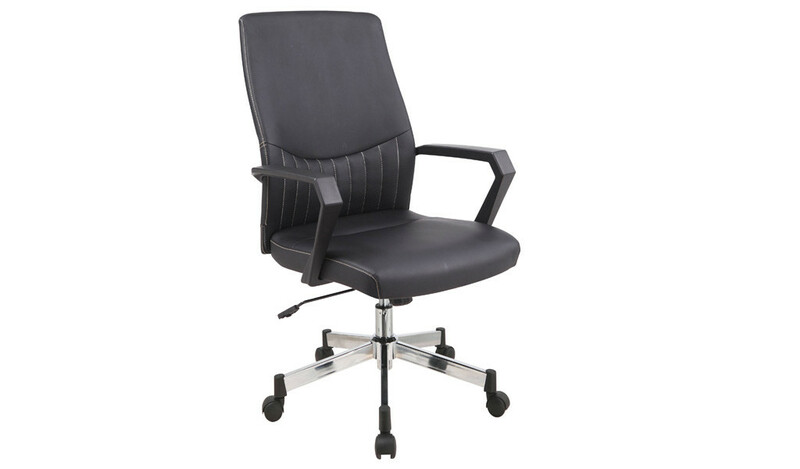 With an option to work standing up it is an ideal choice for architects, draftsmen, engineers or any dynamic office environment. – 1. Two seater desk with motorized height adjustment function. – Made using E-1 grade engineered wood and laminate with electrostatic steel frame. The E1 rated composite wood is a superb, highly durable material and a world standard for premium furniture while the laminate is from our carefully selected range of premium natural wood veneers with consistent color and grain structure. 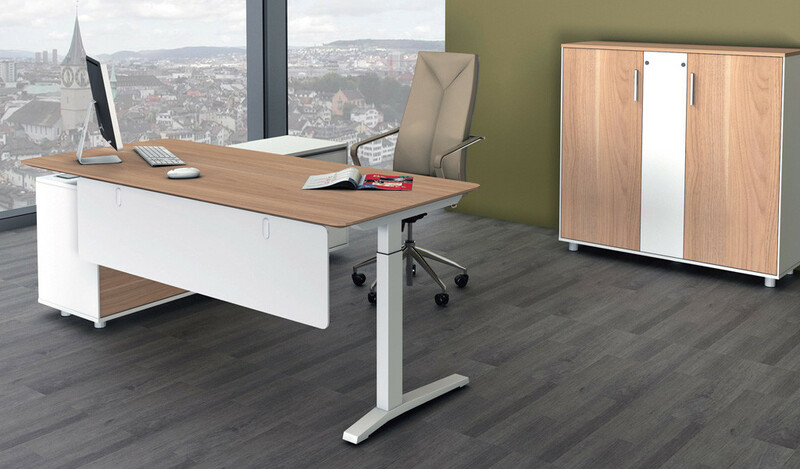 – A unique modular workstation system with independent height adjustment function for each desk. Finished with laminate top they are designed with an electrostatic powder coated base with inbuilt motors that can raise or lower the desktop levels at the touch of a button. The height adjustable workstations are modular in design and can be arranged in different combinations depending on your lay out. Built with the superior quality E1 grade MDF and oak laminate they are designed for lasting durability, natural feel and luxurious looks. 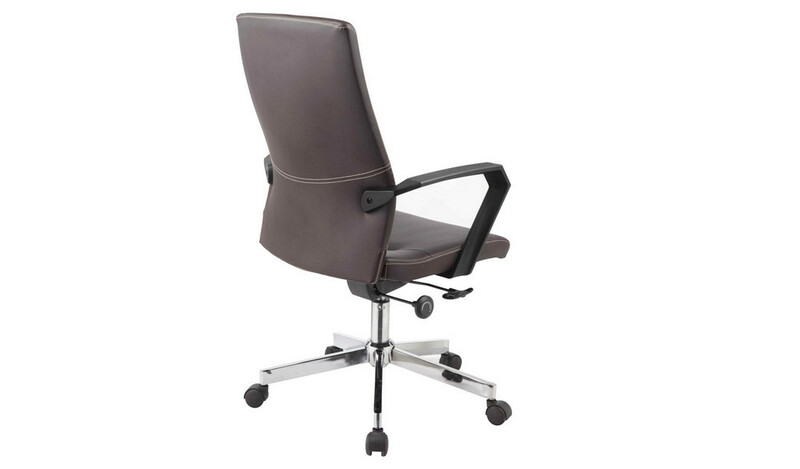 They are part of the iRidge series from which you can choose an entire range other products like executive desks, cabinets, conference tables etc. Download the catalog to see the entire collection of this series.